“Yet delightful as Longhi, Canale, and Guardi are, and imbued with the spirit of their own century, they lack the quality of force, without which there can be no impressive style. 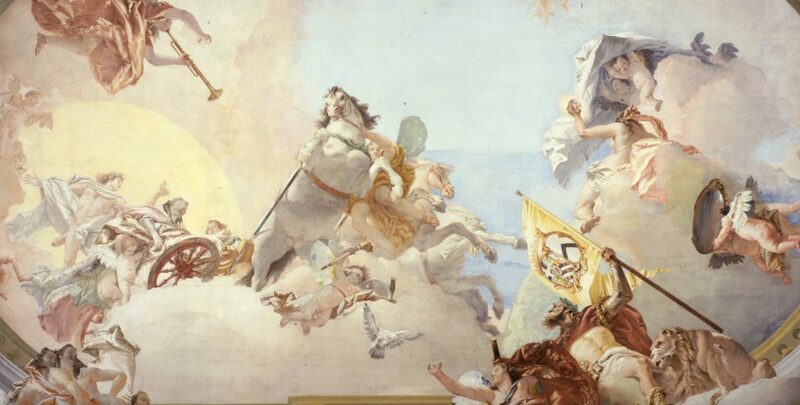 This quality their contemporary Tiepolo possessed to the utmost. 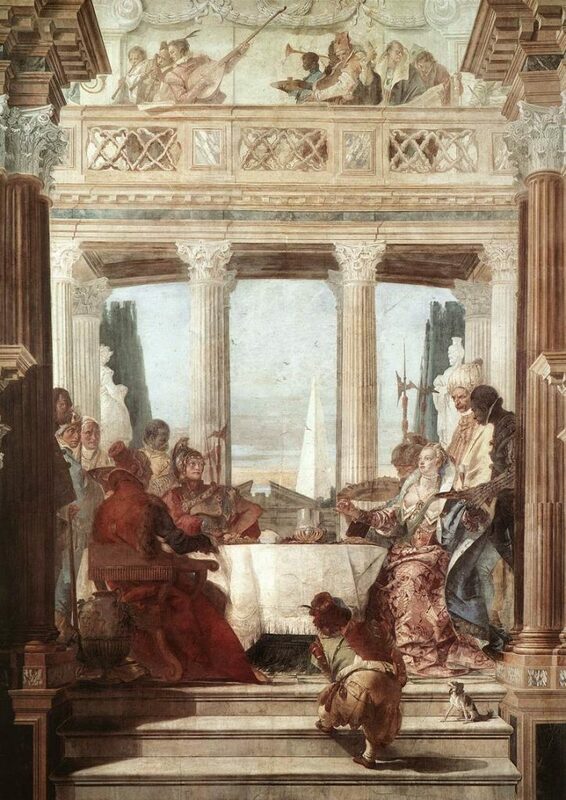 His energy, his feeling for splendor, his mastery over his craft, place him almost on a level with the great Venetians of the sixteenth century, although he never allows one to forget what he owes to them, particularly to Veronese. The grand scenes he paints differ from those of his predecessor not so much in inferiority of workmanship, as in a lack of that simplicity and candor which never failed Paolo, no matter how proud the event he might be portraying…. 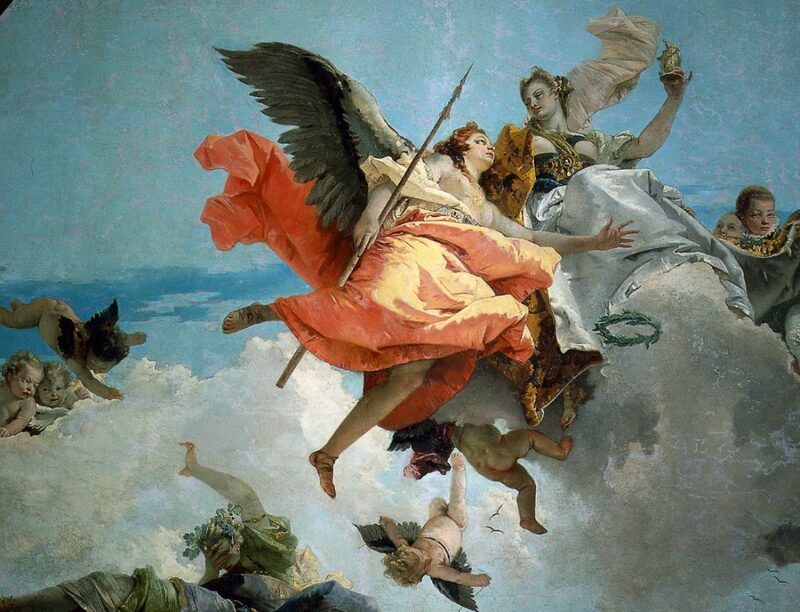 Paolo saw a world barely touched by the fashions of the Spanish Court, while Tiepolo lived among people whose very hearts had been vitiated by its measureless haughtiness.